"The pool has a great atmosphere and plenty of space with are..."
Have a question for Royal Palace Hotel? 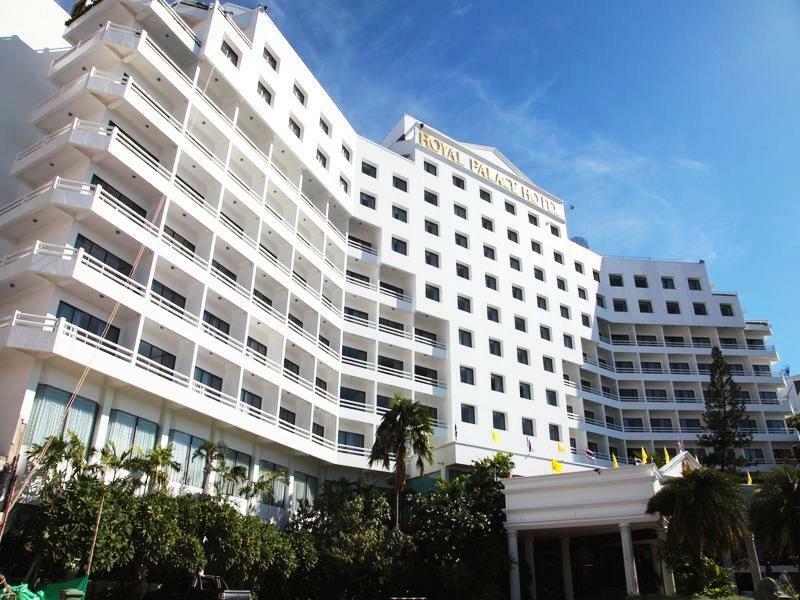 You will enjoy every moment of your experience at the Royal Palace Hotel when you're staying in Pattaya. Overlooking the beach, the rooms here are perfect for anyone wishing to escape the stress of everyday life and unwind to the sounds of the water. 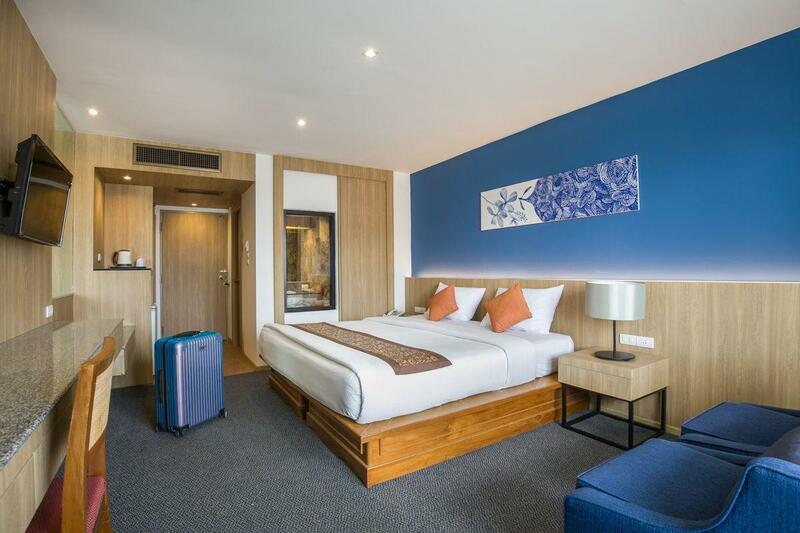 The Royal Palace Hotel is close to Jacquard Bespoke Tailoring, Pattaya City Walk, Thaiwat City Walk, Simon Shopping Arcade, and Jim Thompson Factory Sales Outlet. The hotel has a kids club, giving your children a safe place to play. 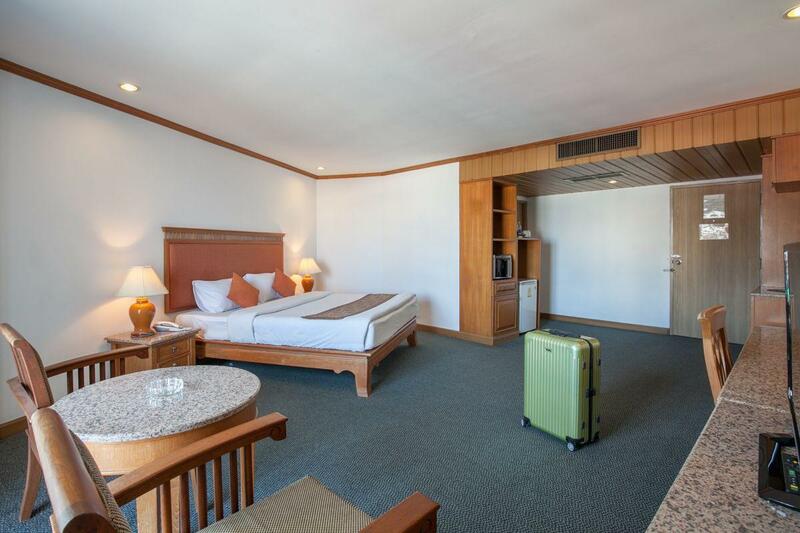 Equipped with family rooms, it has ample space to hang out. It also provides a kids swimming pool to keep the children busy during your visit. With a selection of shops, a convenience store, a shrine, a currency exchange, as well as a smoking area, it has various convenient features to make your stay more comfortable. The Royal Palace Hotel features a garden, a spa, ticket services, and an outdoor swimming pool among other amazing facilities. If you want to spend your day simply relaxing and unwinding, you can get a massage nearby. Offering guided tours, the Royal Palace Hotel is a great spot to stay to learn about the area and see everything you can while you're here. From a bar to restaurants on-site, this hotel offers a range of dining and snacking choices. From a concierge to daily housekeeping, the Royal Palace Hotel provides a variety of useful services that guests can take advantage of throughout their stay. All of the rooms have air conditioning, a hair dryer, a bathtub, and a TV, as well as a desk, a refrigerator, free bottled water, and a shower. There's free Wi-Fi available in all rooms, as well as Wi-Fi in common areas, so guests won't have to worry about buying a local sim card. With a front desk that's open at all hours, the Royal Palace Hotel guarantees that there is always a member of staff on call to assist you with any questions at any time. The Royal Palace Hotel offers a 24-hour check in and check out service, allowing you to arrive at whatever time best suits you. The hotel has a variety of transportation options including car rentals and taxi services. Bus Terminal is 3.6 km away and Pattaya Railway Station is 3.7 km away. The nearest airports are Utapao International Airport (UTP) and Suvarnabhumi International Airport (BKK), which are situated 29.9 km and 86 km away. Although the rooms are nicely renovated (with minimal room facilities) and the location is quite good, the staff, especially at welcome desk, is probably to most non-friendly, not-welcoming and not-english speaking that you can find in this country and that ruins your stay. Not recommended for the above reasons. Lots of better options at same price in surrounding areas. We were not that far from the beach and the hotel is just behind a mall which is very convenient. Breakfast is good. The room is clean and we had a balcony which is also nice. Only complaint is the sound that we hear from the other window, like a whizzing sound from the pipes. Arrived at hotel to find rooms rather dirty. No safe on room so you have to purchase a padlock for 40 bht, if you want to use they're safe. Bathrooms need updating as baths where unusable,could only use as shower. I've stayed at the hotel several times over the years and it is like meeting up with an old friend again. 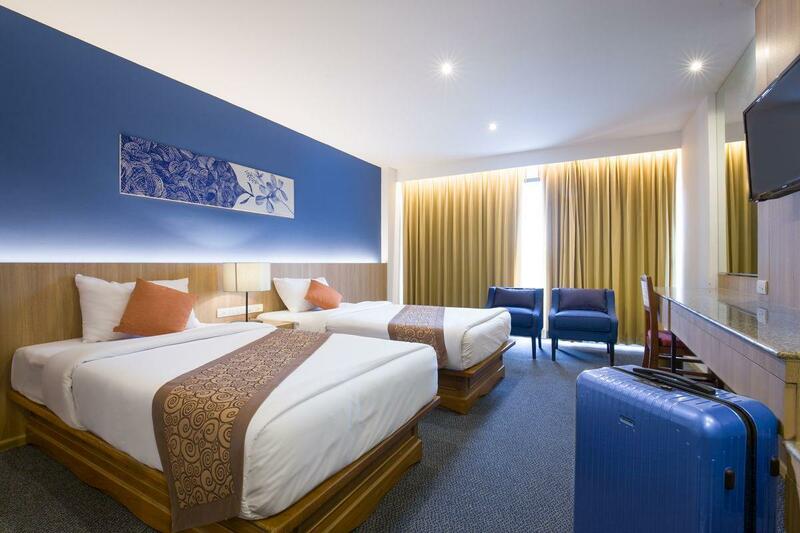 The hotel is located near malls and restaurants in Pattaya and is easily accessible via Tok-tok. There is also a very nice swimming pool in the hotel where you can relax. Excellent exchange rate also for your dollar in the numerous money changers in the area. Great Location, fantastic room 4 single beds, always very clean, great breakfast, fantastic pool never packed, everyone friendly, Great Value for Money considering that getting Family accommodation in Patts is very hard and very expensive. One Complaint Beds were far too hard, built for small Thai people not us Farangs,great place for the money. central location I could walk everywhere, excellent swimming pool. rooms serviced every day. I had a fantastic time here because of it's perfect location. 10 minutes walking street, Lk metro and 15 minutes to soi 7/8. Staff were excellent, smiled at every opportunity and very helpful. Rooms are clean, TV is a bit old but it's fine as it has enough channels to suite everybody's taste. It's also very quiet here I only had problem with noise on one occasion but that was my own fault for not being out enjoying the night life.It also Girlfriend friendly. I can't comment on the food as I only ate there once and it was a breakfast which was 4/5. There is also Royal Palace Twin next door. i had a long drive and finally found the hotel. it was a beautiful and quiet hotel. a lot of privacy. great for honeymoon. public transport is a little bit costly. muslim food easily found. the hotel is a 20 minute walk and 15 minute walk to walking street. pattaya is a very beautiful place. i will go again for sure. Easy walking distance of Beach Road, shops, restaurants and Walking Street. overall our experience of the royal palace was positive, mostly due to where its located rather than anything particularly about the hotel. the swimming pool and facilities were fine, breakfast was ok and the rooms were cleaned well each day. we stayed there over new year so were required to pay a lot extra for the 'gala dinner'. it wasn't a great event and certainly not worth the money, and most guests like us appeared to head off to the town having eaten rather than staying for the not particularly entertaining entertainment. on balance the 3 stars of the hotel are merited and the price for what you get is good. Very impressive when start enter to this valued 3-Star big hotel just after passing the beach. Reception Staff are very helpful. Room and two single bed are very big and comfortable. Buffet breakfast is very nice and can start early as 6 am. After check-out, we can keep our luggage at lobby for shopping before go to Airport. Toilet flash water pressure is very low and can chock if not done twice or more. Other than that, generally very good valued hotel. It’s very close to waking street, central shopping mall & all the restaurants. Has a nice swimming pool which we couldn’t use as it closes at 7 pm. They should keep it open little longer than 7 pm. Seaview rooms have best view than pool view rooms. Furniture are quite dated. They must need to renovate to stay in the business which they are doing atm. Cleanliness was my biggest concern. Toilet wasn’t very clean. Mirror was looking very dirty. Overall I had a great experience staying at Royal palace. All rooms are smoking, but staff is very accommodating in finding room with no smoke smell. The pool has a great atmosphere and plenty of space with areas of both shade and sun. Location is near walking street and the beach. There's a seven eleven right out front too. Really dissapointing check in, and despite requesting no smoking rooms both rooms i was given stunk of cigarettes throughout the stay.